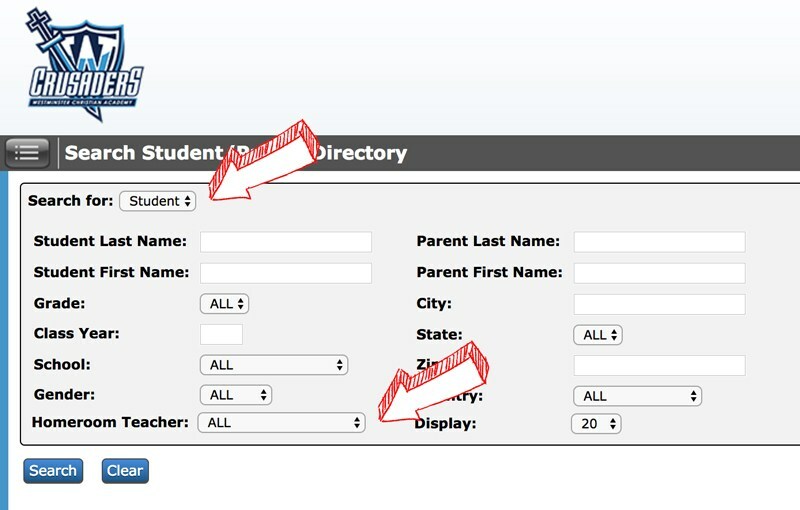 Current families and staff will have access to the Parent Student School Directory through My BackPack. Each year during re-enrollment, families update their contact information and indicate whether we can publish that information. The online directory reflects that updated information. ONLY CURRENT FAMILIES AND EMPLOYEES HAVE ACCESS so your information remains secure within the Westminster Christian Academy family. Simply access My BackPack and use the same login and password you use during the application/re-enrollment process. You are welcome to change it at any time. 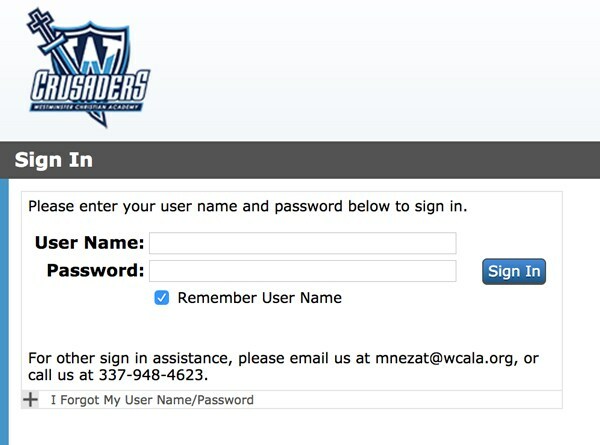 Please note: We must have your email address in our system for the password reset to work. If you are having any trouble, please contact either Admissions Office for assistance. Search by student or parent name. Also, you may search by homeroom by leaving all fields blank and choosing only a homeroom teacher. While you may print the list (using the printable version link), we ask that you not share this information with others. 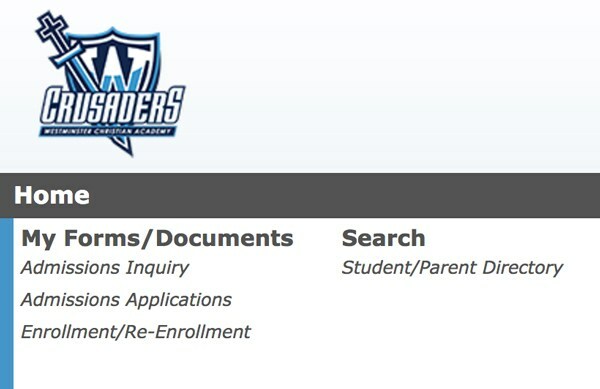 Directory information is for our WCA families only.